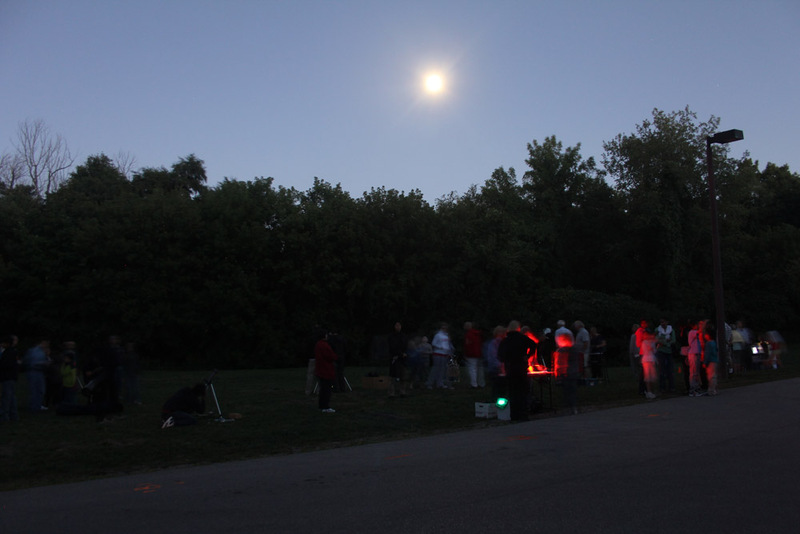 Join members of the Royal Astronomical Society of Canada Observing on the green in front of Chappelle House at The Riverwood Conservancy to spend an evening observing the universe! Large telescopes will be set up and pointed at the Moon, the planet Venus and other objects beyond our solar system. Note: If the weather is cloudy, the observing will be delayed one day. Check this web site for GO/NO GO information on the afternoon of the 12th. Participation is free - but we are taking donations towards our planetarium fundraising drive! Young and old observe the night sky with telescopes under the Moon.